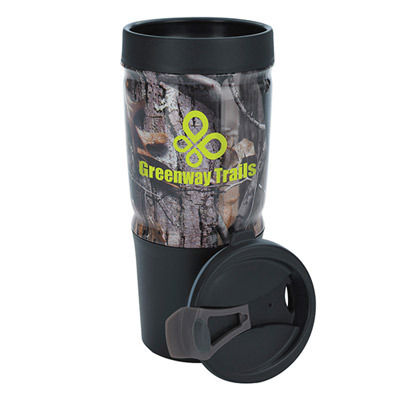 Businesses looking for giveaways that pack a marketing punch will do well by choosing camouflage promotional products. These products can be distributed among people who love adventure and the outdoors. They also make excellent patriotic giveaways. Camouflaged products look good and allow advertisers to make a positive brand statement. These products have a certain uniqueness that sets them apart from conventional giveaways. Have you used camouflaged giveaways before? If your answer is no, then we recommend you give these products a try. They offer good utility value and are budget-friendly. These products can be used as giveaways for all seasons, irrespective of the time of the year. Go through these products and order a product that suits your marketing requirements best! You could also get in touch with us for help selecting the right product. This bag looks unique and is made of 210D polyester material. 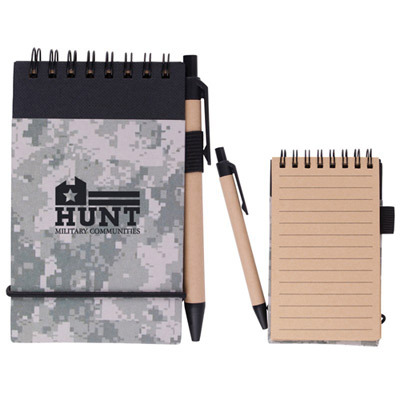 It is durable and the perfect companion on outdoor trips. It has long-lasting straps that cinch the bag together. Belongings can be secured and carried around with ease. 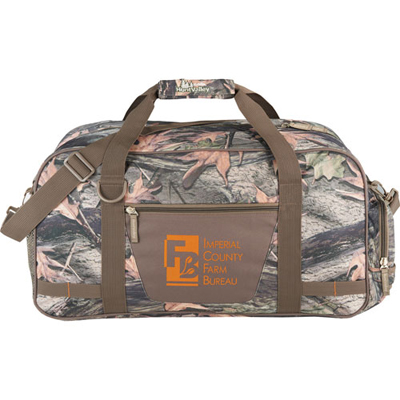 This duffel is made of brushed polyester. It has side and exterior pockets that ensure easy access and storage. This bag is spacious and has exterior webbing. A highlight is the embroidered branding on the handles. It ensures your logo stands out in style. This product from Port & Company is perfect for female employees and clients. 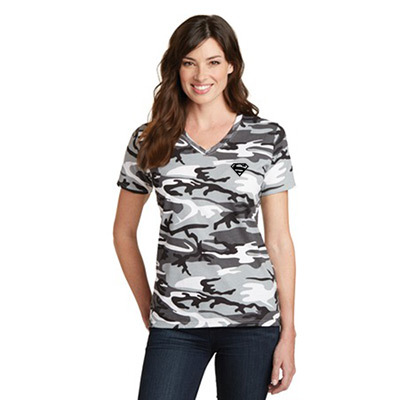 Made of 100% cotton, this v-neck offers a comfortable fit. It is pigment-dyed and side seamed. Your logo will be screen printed on the left chest, back or center front. This large tumbler offers double-wall insulation. It is designed to fit in all kinds of cup holders. It is perfect for all those outdoor trips! This cooler is perfect for parties. It is made of durable material that offers watertight construction. 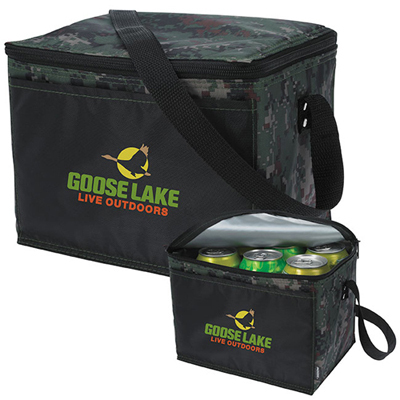 It features a heat-sealed PEVA liner and a 32” shoulder-length strap for easy carrying. 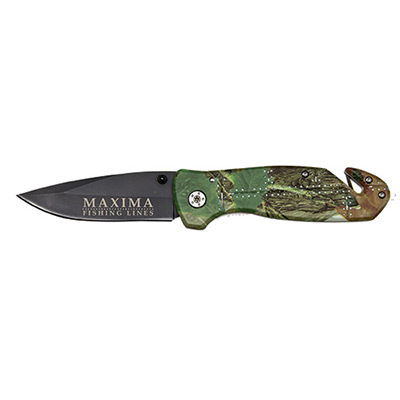 This classy looking knife features a stainless steel blade with an elegant black finish. It has a rivet-inspired texture on the handle. A thumb stud is also present. It features a metal pocket clip for convenient access. There is a bladed groove in the handle that allows users to conveniently cut para cords, seatbealts and fishing lines. This product is lightweight and cleans up easily. This jotter features a black wire binding. It comes with black tonal accents and an elastic band closure. A pen and loop are also present. There are 50 lined sheets of paper. 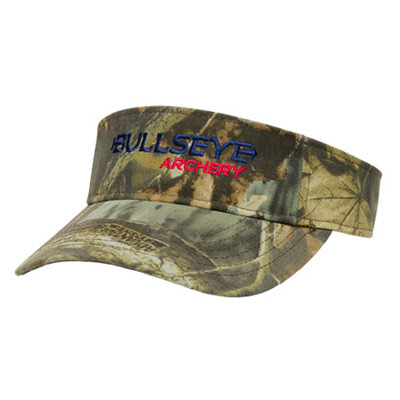 This visor can be embroidered with your logo for the perfect branding experience. 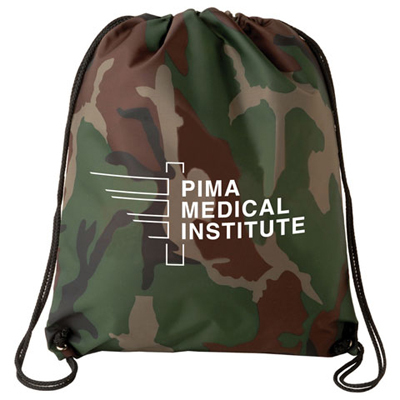 It features camouflage twill and a Velcro fabric strap. Did you like any of these products? Contact us if you want to have any of them personalized. As the #1 online promotional products store, we are committed to providing you with the best shopping and marketing experience possible. Gary Taylr is a marketing consultant and works with the creative team at Promo Direct to boost sales. He is a regular participant in discussions related to business and marketing. He loves exchanging ideas and connecting with like-minded people. Gary can be followed on Google+ and Twitter.